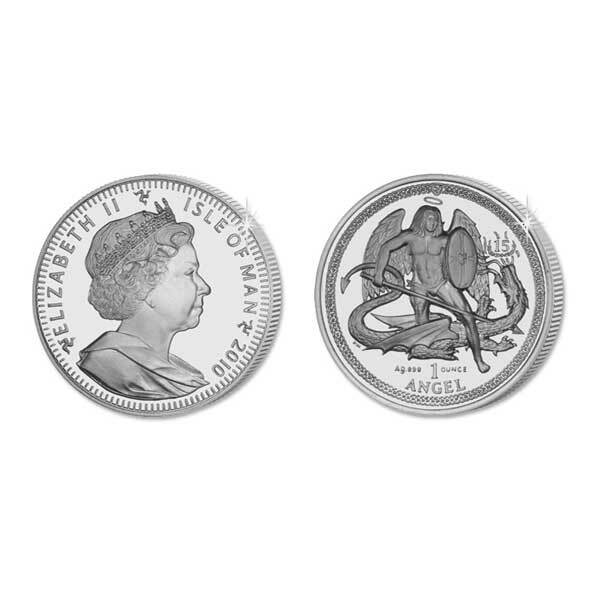 The Isle of Man 2010 High Relief Silver Angel Coin is a stunning coin which is a delight to own. This wonderful coin depicts the third Angel design in the coins 25 year history and features the Archangel Michael poised with a spear in his hand ready to slay a dragon. This coin has been specially released to celebrate the 15th Anniversary of the Silver Angel coin and is available in Proof 999.9 Silver, making it a great addition to any coin collection. The obverse of the coin features a fine effigy of Her Majesty Queen Elizabeth II. 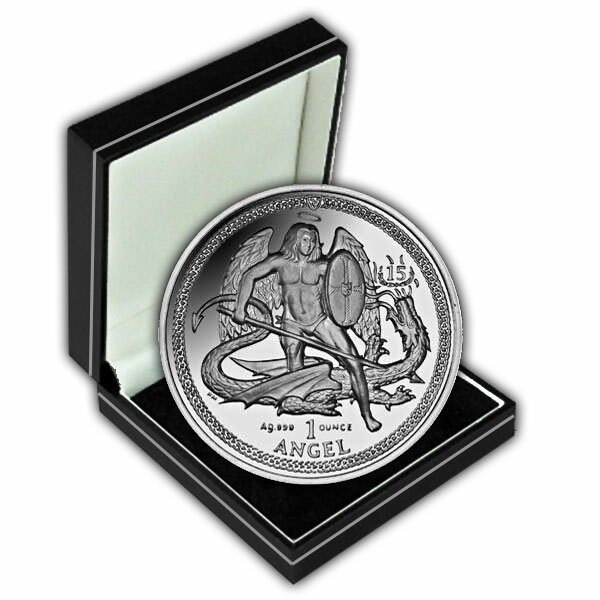 The Isle of Man 2010 High Relief Silver Angel Coin will make a fabulous gift for any occasion. I purchase coins from mints and dealers all over the world, and the merchandise quality and customer support from Island Stamps & Coins (ISC) is second to none. The website is very informative and user-friendly, and particularly comforting and reassuring is the level of care and sincerity upon the handling of product exchanges and/or returns. ISC is quite simply the most trustworthy and customer oriented coin dealer I've ever had the pleasure of doing business with, which is of paramount importance when ordering from another country as I do residing in the USA! The staff was very helpful and answered all of my questions. The coins that I received are of the highest quality and were actually priced lower than the mint price. Checkout was a simple process, everything was securely packed and shipped here to the US in a timely manner. 100% Positive & All 5-Stars!